For many millennia, Gold has been the indicator of wealth, a way to invest and until very recently the standard of currency. 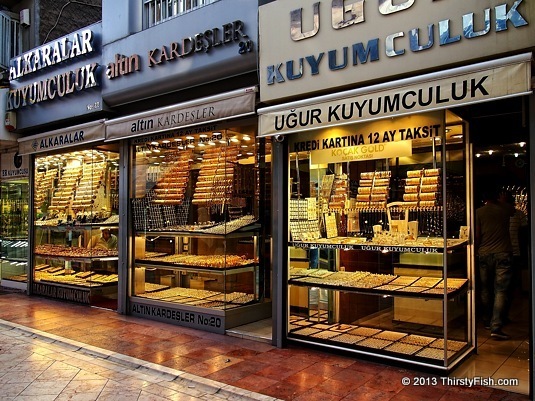 In many parts of the world, Gold continues to be a highly preferred investment tool. But unfortunately, the price of Gold, like most other commodities, is manipulated by global banks and major financial institutions. These manipulations turn even the most trusted means of investments into gambling and speculative get-rich-quick schemes. We are told that Capitalism is supposed to work based on supply and demand. I don't think even Adam Smith could possibly approve what capitalism has become: A global economy run purely on speculation and manipulation. Amid the speculation, today, every investment is a gamble. The closer you are in predicting how things will be manipulated, the greater your chances of a successful investment. Everything from real estate prices, to commodities, to stock and bonds, to interest rates are manipulated, and the manipulators make a lot of money. The recent Cypriot financial crisis revealed that even your money deposited in you bank account is not safe; Someone else can randomly decide to tax it at a random rate in order to "save the economy". Dark days are ahead for the economy. This Frankenstein, manipulative and speculative financial system we've created does not know how to stop itself and will ride itself to collapse, at which point the best investment will be water and food; After all, you can't eat, or drink, or breathe Gold. This photo was taken in Eskisehir.